Value for money and style are important to most parents spending money for the first time on baby accoutrement. Now one of Germany’s leading companies has brought one of its most versatile products to Australia, making it easier than ever to spend just once on essential items! 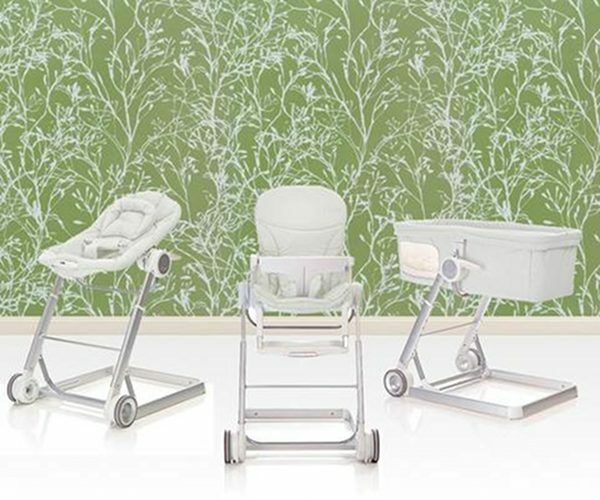 The Hauck i’coo Grow with me 1-2-3 set is a three-in-one piece comprising an ultra-lightweight frame with bassinet, bouncer and highchair attachments. Use as a sleeping vessel and bouncer for those first months of life and graduate to the highchair once baby is ready to sit up and eat! Of course, we’re talking about a German company here so we’re expecting some kind of gadget to be incorporated into the design and the Grow with me doesn’t disappoint! Run your iPod from the bouncer attachment via a concealed plug in the side, set it to vibrate and the music will have your baby relaxed and asleep in no time. 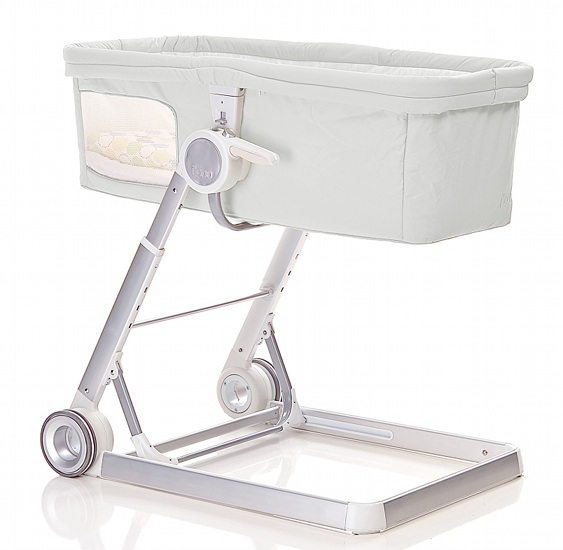 The telescopic height adjustment makes seeing and feeding baby a breeze – just set it to the right height for the situation! The highchair attachment has all the features you would expect of an elite highchair – five-point harness, ergonomic seat, adjustable footrest and removable tray. Save yourself a packet and buy the Hauck i’coo Grow with me 1-2-3 locally for $699 from The Little Market. Shipping is just $9.80, even for larger items such as the Grow with me set! Also watch this video to get the hang of how it works – it’s in German but you’ll get the gist. We’ll be adding this one to our handy Highchair Chooser very soon!